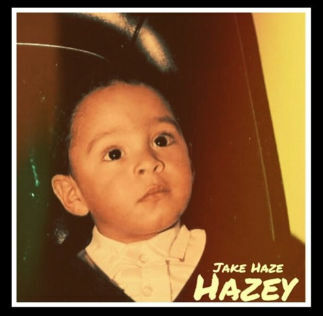 Hazey is a new album from hip hop artist Jake Haze. A good way to describe it is that it’s almost like a family photo album in musical form. With intensely personal lyrics and touching anecdotes the release serves as an ajar window to one man’s world. At 15+ substance filled tracks, the sheer volume of content in Hazey is impressive in and of itself. What is uniquely awesome about this album though is that the level of creativity (especially in formatting) is off the charts. For example, Voicemail to Savannah isn’t simply a metaphor, it’s a song that’s literally in the form of a voicemail on someone’s answering machine. It is artfully done though, in a way which the musicality captures the awkwardly genuine romanticism of the moment. None of these songs are “cookie cutter” either. There is a great deal of musical variance with the backing tracks, and none of the tracks feel like padding or filler. Jake’s delivery comes across as humble and unassuming. He keeps his ego in check and is not shy about revealing his vulnerabilities in these lyrics, which deal with family issues, the pursuit of dreams and often just the mundane struggle to make ends meet. This album is a genuine work of art, one which deserves much more exposure than it is likely to receive in mainstream hip hop circles.